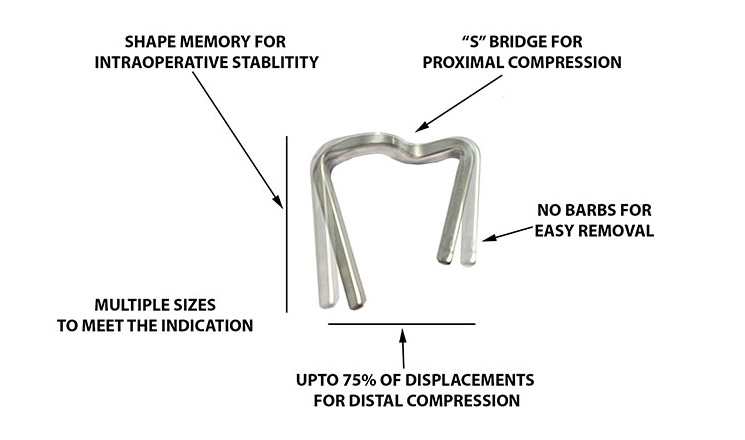 The NiTy Staple was designed for ease of use and intraoperative stability. 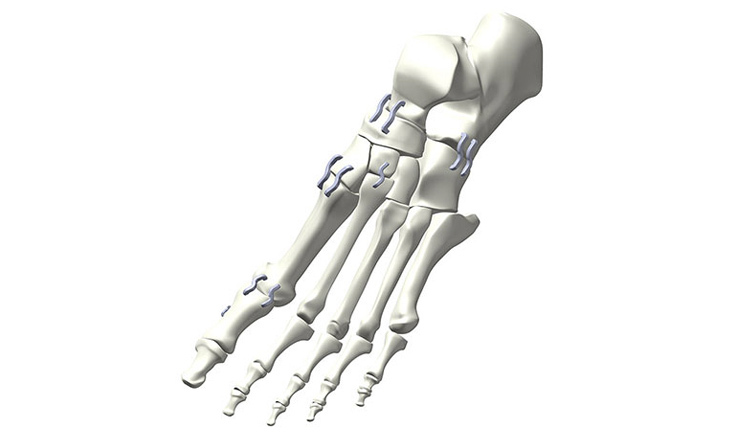 Generally indicated for Hand, Foot and Ankle joint arthrodesis, bone fragments, and osteotomies. 17 Standard sizes including 6 step sizes (6mm, 9mm, and 12mm). Minimal surgical steps for a rapid implant and accurate placement.